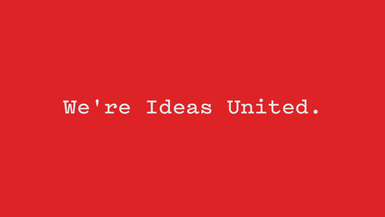 Ideas United is a creative agency focused on producing authentic, story-driven content with a purpose. We craft original content, events, and campaigns that appeal to even the hardest-to-reach markets. Our brand family includes Campus Movie Fest, the world’s largest college marketing tour, TERMINUS Conference + Festival, an annual event that brings the worlds of film, gaming, and interactive together, and We Make, a global network of creative professionals. We believe everyone has a story to tell, and we’re ready to tell yours. For more information visit www.ideasunited.com.